Make Typetalk your company's internal communication platform to build stronger relationships between teams, departments, divisions, and management. Work together on product mockups, backend architecture, user flows, AWS networks, and more. Create clean, professional diagrams for every project with Cacoo. Project management meets Git hosting. Backlog provides development teams with features for faster delivery including task management, version control, and issue tracking. 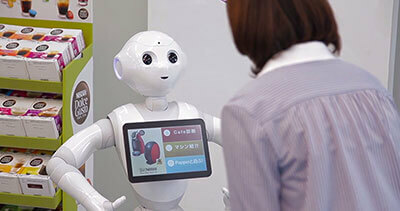 SoftBank Robotics is a global leader in robotics; their products are used worldwide in over 1,700 companies. People joining in the middle of the project can now follow the progress of the project immediately and get up to speed quicker. Deliver better results with Nulab.